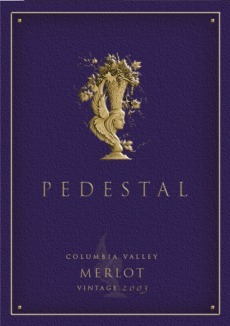 "The 2015 Pedestal Merlot from Long Shadows is a blend of 75% Merlot, 15% Cabernet Sauvignon, and 10% Petit Verdot aged 22 months in 85% new French oak barrels. Crème de cassis, wood smoke, scorched earth, and graphite characteristics all emerge from this rich, full-bodied, voluptuous beauty that has more mid-palate depth and richness than any other Merlot made in the state. With ample tannin, it will benefit from a year or three and keep for 15. It's a gorgeous wine."